The focus of ERP systems has shifted from specific business areas such as manufacturing or procurement to broader use throughout the company. 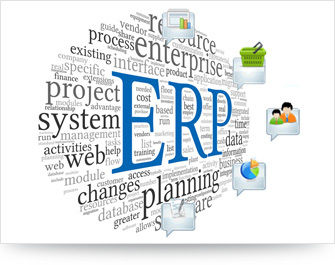 As ERP systems impact almost every aspect of a company, so the success of an ERP implementation is of utmost importance. The transition from existing traditional systems to a new ERP one can consume significant corporate resources, including time, expense, and risk to business operations. In any ERP implementation there is an uncertainty associated with the cost and timeline of the project. This stems from the lack of expertise on the packaged application in implementation team. We have been able to address it with our best in the business implementation specialists. Our implementation team has a deep understanding of the capabilities of packaged application and delivers you the optimal solution for your business.